Jim Frame leads and develops academic training and research interests at the Postgraduate Medical Institute (PMI) of Anglia Ruskin University, where he resides as Professor of Aesthetic Plastic Surgery at its Faculty of Medical Science. Under his guidance, the PMI provides a regional nucleus of postgraduate education and training, alongside medical research and development. He is also an accomplished and respected aesthetic surgeon who is currently Senior Consultant Surgeon at the Springfield Hospital in Chelmsford, Essex. Professor Frame edits and is a prolific published author of over one hundred peer-reviewed papers, book chapters, articles on burn care, trauma, and reconstruction and in aesthetic surgery. As a Senior House Officer and Registrar, he was the main author and researcher in the field of advanced burn injury care, tissue transplantation and regeneration. He continued his special interests within the NHS, including burn care, breast cancer reconstruction and the surgical repair of soft tissue sports injuries particularly in elite athletes, and into private practice. He has spent time as a Visiting Professor in Singapore, Australia, the Middle East and the United States and has strong international links in research and training. These were brought about by the awards of travelling Fellowships - in particular, the Winston Churchill Memorial Fellowship which allowed him extensive exposure to USA Burns Unit facilities. After leaving the NHS in 2001, Professor Frame went on to set up the Directorate of Aesthetic Plastic Surgery at Springfield Hospital, Chelmsford, under Capio management. He now supports newly qualified plastic surgeons in their training, and experienced plastic surgeons needing additional aesthetic surgery skills. 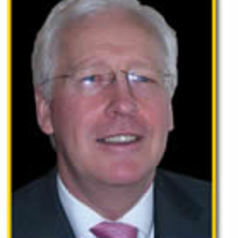 He is the Co-Founder of the Post-Graduate Diploma in Aesthetic Surgery at Barts and the London Hospital.